Beautiful but Deadly Mythical Creatures, There's so many Mythical creatures all over the world, each country has their own mythical creature. several years ago we have post about the creature from Greek Mythology. 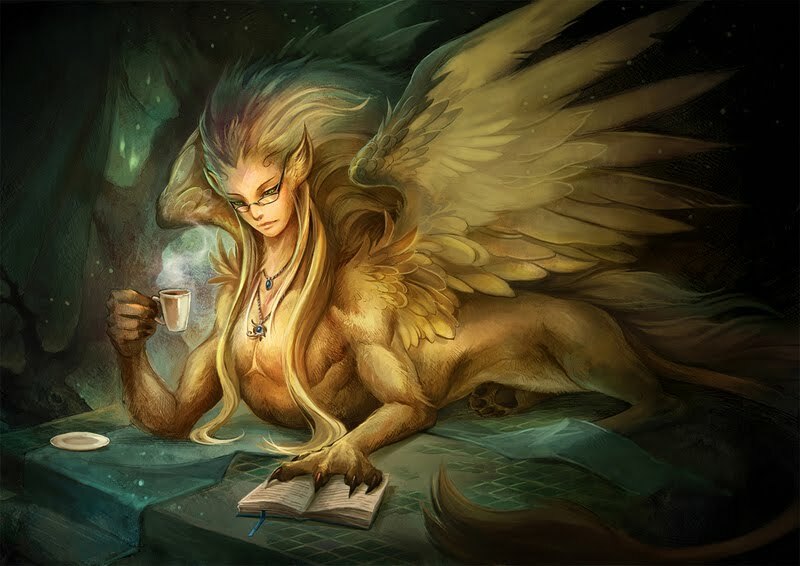 and now we're gonna share you the beautiful but deadly mythical creatures. this mythical creatures killed their prey using their beauty. so who are they? 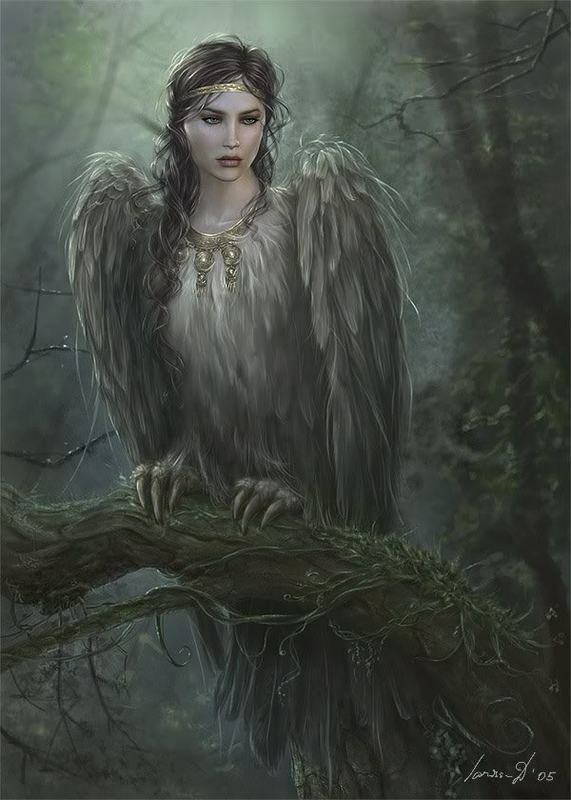 Check this Female Mythical Creatures List Who are Beautiful and Deadly. Alkonost was a legendary creatures from Slavian Mythology, this creature has a bird body with female head and breast. Alkonost Names comes from Alcyone the Greek goddess. Alcyone was transformed by the gods into a kingfisher, It makes sounds that are amazingly beautiful, and those who hear these sounds forget everything they know and want nothing more ever again. The alkonost lays her eggs on a beach and then rolls them into the sea. When the alkonost's eggs hatch, a thunderstorm sets in and the sea becomes so rough that it is untravelable. 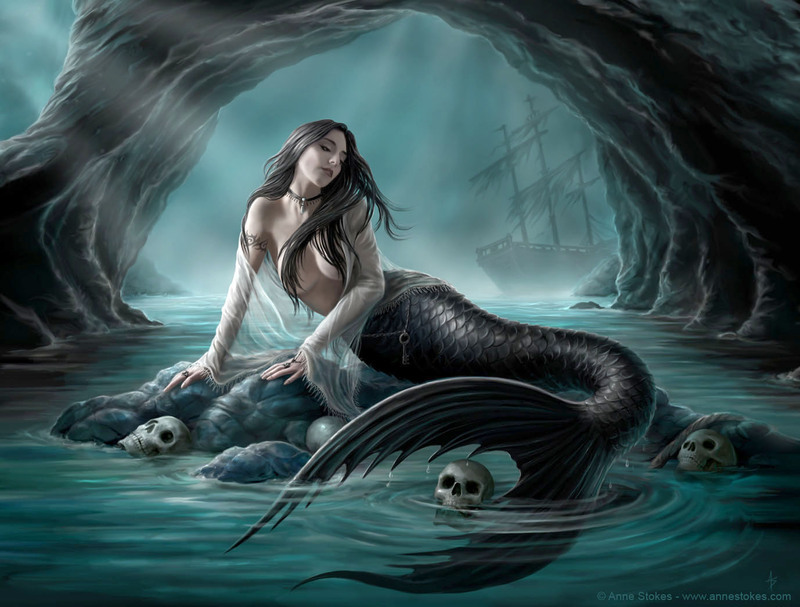 Siren was a legendary mythical creatures from Greek Mythology, they lived in Sirenum Scopuli Island. there's various opinion about where siren lived among many other tradition. They lured nearby sailors with their enchanting music and voices to shipwreck on the rocky coast of their island. Roman poets placed them on an island called Sirenum scopuli. In some later, rationalized traditions, the literal geography of the "flowery" island of Anthemoessa, or Anthemusa, is fixed: sometimes on Cape Pelorum and at others in the islands known as the Sirenuse, near Paestum, or in Capreae. All such locations were surrounded by cliffs and rocks. Medusa is a Mythical Creatures comes from Greek Mythology, She was a Gorgon, a chthonic monster, and a daughter of Phorcys and Ceto. Like we know Gazing directly upon her would turn onlookers to stone. She was beheaded by the hero Perseus, who thereafter used her head as a weapon until he gave it to the goddess Athena to place on her shield. In classical antiquity the image of the head of Medusa appeared in the evil-averting device known as the Gorgoneion. There's another story about the origin of Medusa. it was said that Medusa was known as a beautiful virgin priestess in Athena's temple. but she was raped by poseidon on Athena's Temple, This makes the Athena angry, she changed Medusa 's hair of snakes and Curse Medusa so who ever gazing directly into her would turn to a stone. From Greek Myth Echidna was portrayed as a half woman and half snake creature, known as the "Mother of All Monsters" because most of the monsters in Greek myth were mothered by her. 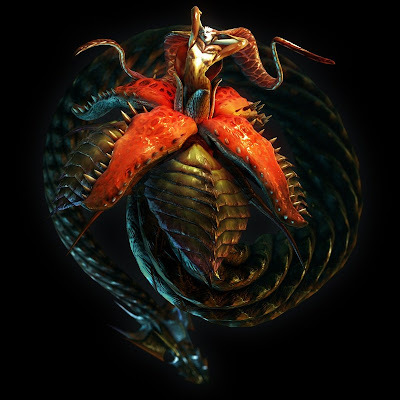 Echidna was a drakaina, with the face and torso of a beautiful woman (depicted as winged in archaic vase-paintings) and the body of a serpent, sometimes having two serpent's tails. She is also sometimes described, as Karl Kerenyi noted, in archaic vase-painting, with a pair of echidnas performing sacred rites in a vineyard, while on the opposite side of the vessel, goats were attacking the vines thus chthonic Echidnae are presented as protectors of the vineyard. Lilith was a female demon from Babylonian, In Jewish folklore, from the 8th–10th Century Alphabet of Ben Sira onwards Lilith becomes Adam's first wife, who was created at the same time and from the same earth as Adam, Lilith left Adam after she refused to become subservient to him and then would not return to the Garden of Eden after she mated with archangel Samael. 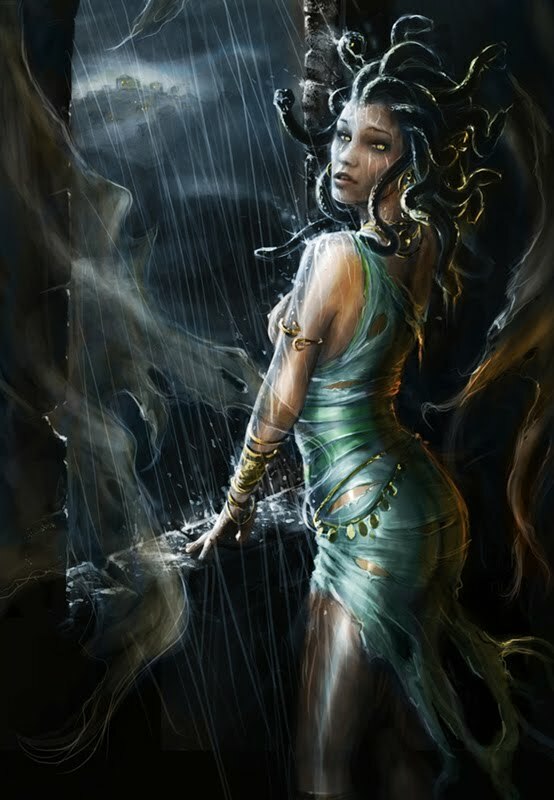 Lamia was a beautiful queen of Libya who became a child-eating daemon. Aristophanes claimed her name derived from the Greek word for gullet (λαιμός; laimos), referring to her habit of devouring children, According to Diodorus Siculus, Lamia was born the beautiful daughter of King Belus of Egypt, making her the granddaughter of Poseidon and Lybie. [ Upon her father's death she became queen of one of his territories, Libya. However, while visiting Delphi, Pausanias remarks Lamia was the daughter of Poseidon. He also states Lamia and Zeus were the parents of Herophile, a noted sibyl. 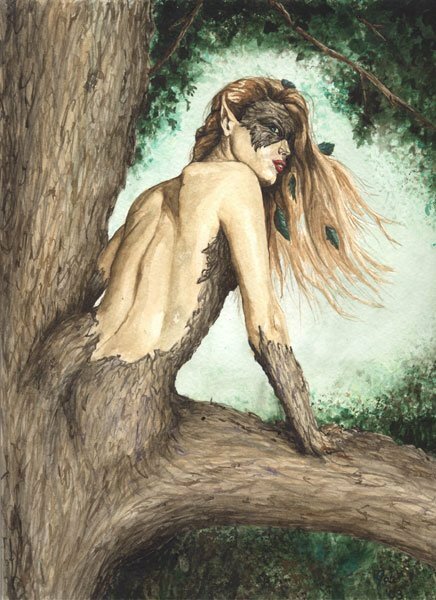 Hamadriad are supernatural creatures that live in trees in Greek mythology. 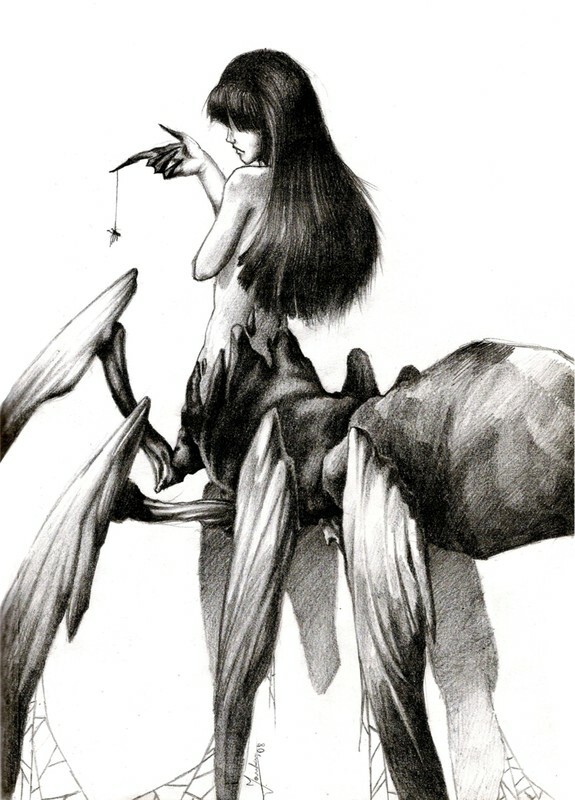 They are a special class of nymphs. Hamadriad born in specific trees and has a very close relationship with the tree which became her residence. If the trees are inhabited dead, then she will die, too. Therefore, Driad and the gods will punish anyone who harm trees. Sphinx was the most famous Mythological Creatures, sphinx is a mythical creature with a lion's body and Female Head. Sphinx, in Greek tradition, has the haunches of a lion, the wings of a great bird, and the face and breast of a woman. She is mythicised as treacherous and merciless. Those who cannot answer her riddle suffer a fate typical in such mythological stories, as they are killed and eaten by this ravenous monster. Unlike the Greek sphinx which was a woman, the Egyptian sphinx is typically shown as a man (an androsphinx). In addition, the Egyptian sphinx was viewed as benevolent in contrast to the malevolent Greek version and was thought of as a guardian often flanking the entrances to temples. 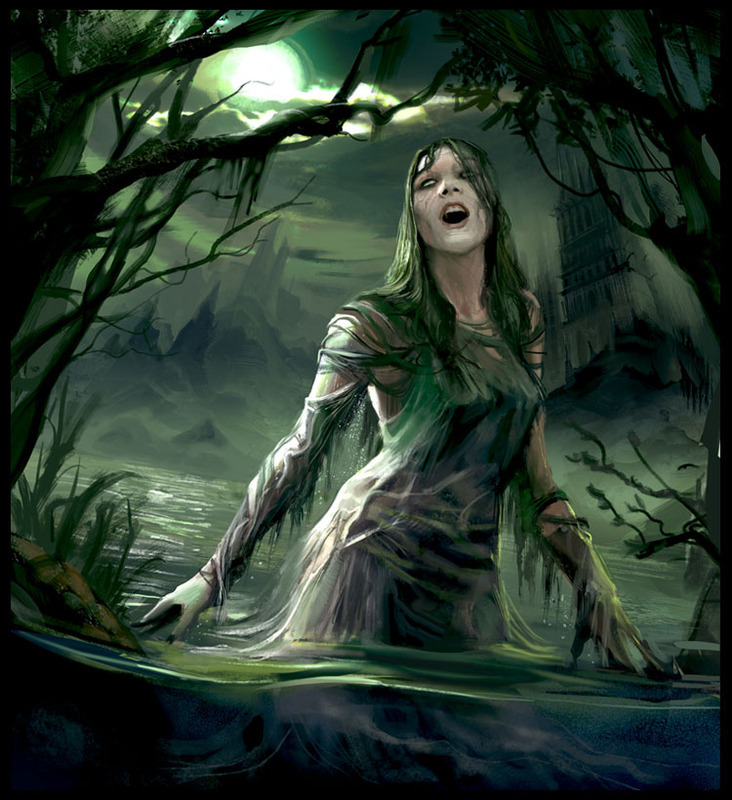 Dziwożona (or Mamuna) is a female swamp demon in Slavic mythology known for being malicious and dangerous, Dziwożona was said to live in thickets near rivers, streams and lakes. According to some, she took the form of an ugly, old woman with a hairy body, long straight hair and breasts so huge that she uses them to wash her clothes. On her head she wore a red hat with a fern twig attached to it. Dziwożona was said to kidnap human babies just after they were born and replace them with her own children, known as foundlings or changelings. A changeling could be recognized by its uncommon appearance – disproportionate body, often with some kind of disability – as well as its wickedness. It had a huge abdomen, unusually small or large head, a hump, thin arms and legs, a hairy body and long claws; it also prematurely cut its first teeth. Its behaviour was said to be marked by a great spitefulness towards people around it, a fear of its mother, noisiness, reluctance to sleep and exceptional gluttony. As an adult (which was in fact rare, as nearly all changelings were thought to die in early childhood) it was disabled, gibbered instead of talked, and mistrusted people. why cant she b real?? WHY?!?!?!??! A few of these are wrong. Sphinx were body of a lion head of a man. And changlings are the children of elves or fairies and don't look that different from normal human children. Their is typically nothing wrong with them except for cutting teeth early and only eating vegetables. They are also found to wander around wooded area, and typically if they go missing it is because they have gone back to their family. But if they reach adulthood they completely forget their lives as changlings and begin to become human.